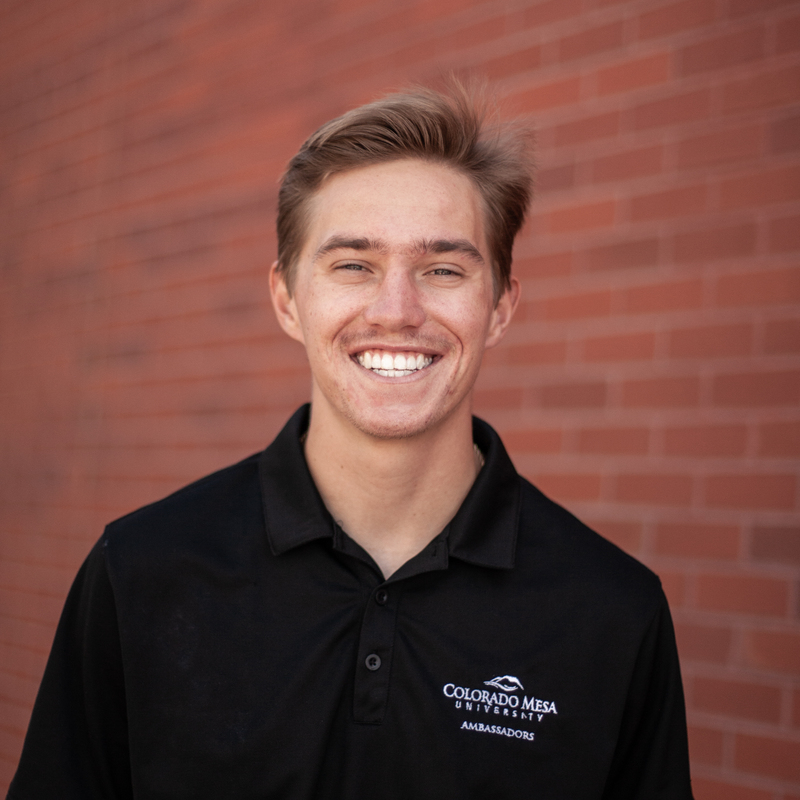 Meet the Ambassadors | Colorado Mesa Univ. 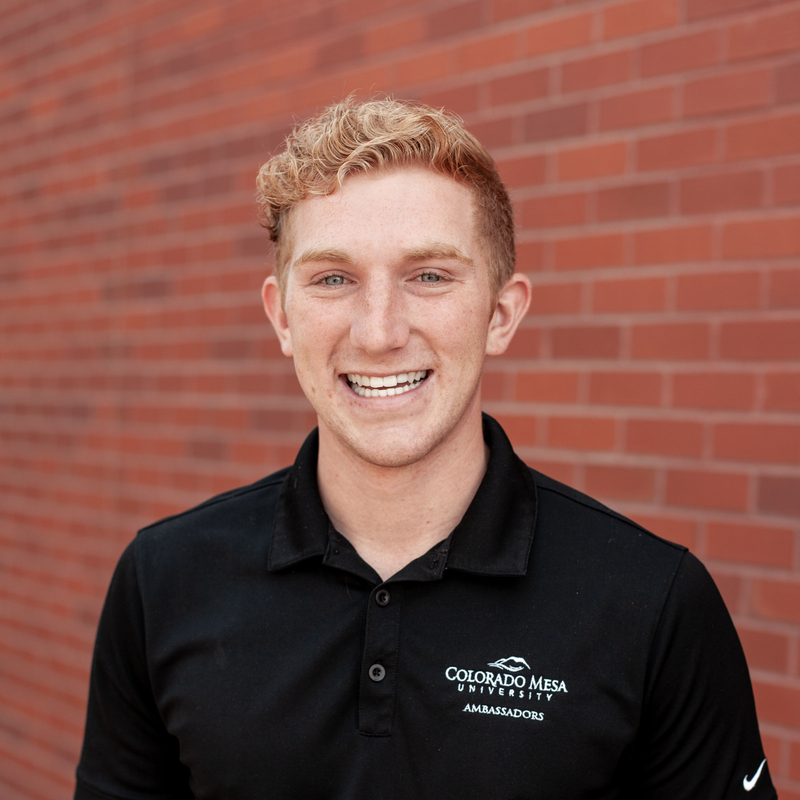 The Colorado Mesa University Ambassador Program is comprised of student leaders that provide prospective students with a firsthand account of college life. Hannah Belich is a senior business administration major with a concentration in hospitality. 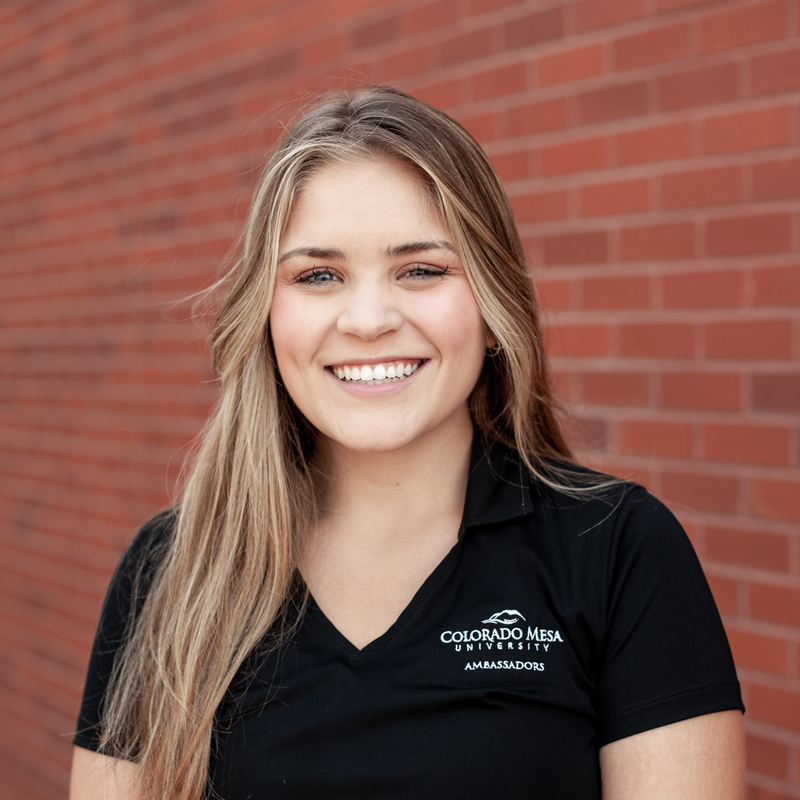 Hannah is from Westminster, CO and aspires to be an event planner specializing in non-profits. Jacob is from Colorado Springs, Colorado and is a sophomore studying sports management. Jacob chose CMU because of how accessible it is to the mountains, ski resorts, and other outdoor adventures are from campus. He looks forward to the various opportunities and adventures that still await him here at CMU. Rumble Mavs! Ashley is from Sandy, Utah and is studying business marketing. She is a senior and her favorite thing about CMU is the culture and feeling of family and home even 300 miles away from her hometown. 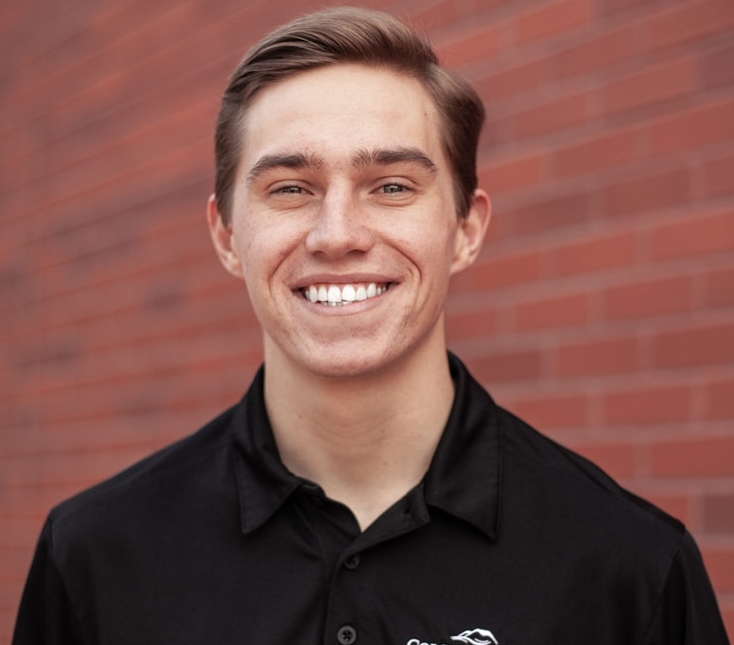 Jackson Engstrom is from Fort Collins, Colorado and is currently a junior pursuing a Bachelor of Business Administration with a Concentration in entrepreneurship. He has lived in Colorado his whole life but has hopes of moving internationally to pursue acting after graduation. The reason Jackson chose CMU is because of the vast opportunities available here that would not be offered at other, larger universities. Jake is a freshman majoring in construction management. He graduated from high school in Lake Oswego, Oregon but grew up in Cheyenne, Wyoming. Jake aspires to be a Boise Smokejumper one day for the Bureau of Land Management (BLM). 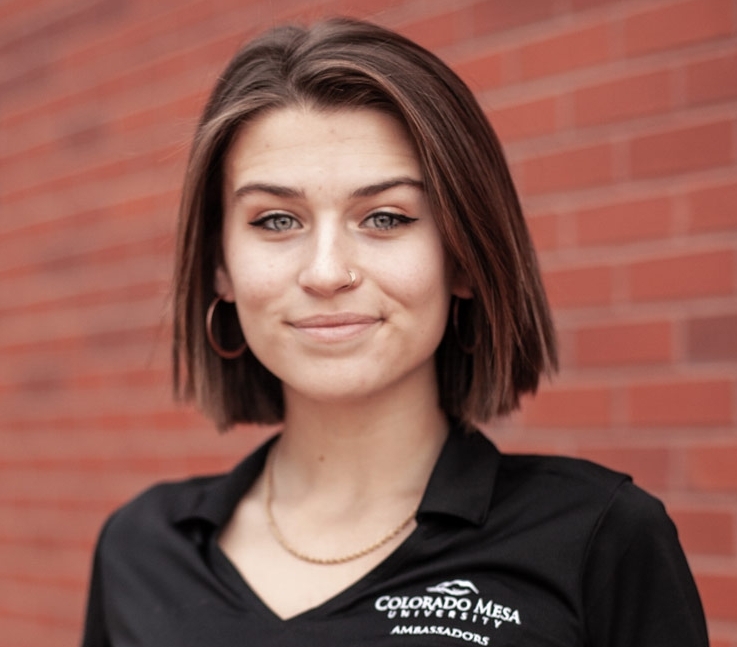 Sydnee Flotron is a freshman mass communication major from Arvada, Colorado. She plans on working for Pixar one day and traveling as much as she can. Emily is a proud Colorado native from Littleton. She is a sophomore who is eager to pursue a Bachelor of Science in Nursing. Emily chose CMU because of its beautiful campus, opportunity for adventure, and sincerity of the faculty and fellow Mavericks. She is grateful to call Grand Junction home, and be a part of the Mavily. Olivia was born and raised in Anchorage, Alaska and is a junior pursuing her degree in nursing with a minor in psychology. Olivia hopes to become a pediatric nurse and work at a Children’s Hospital one day. 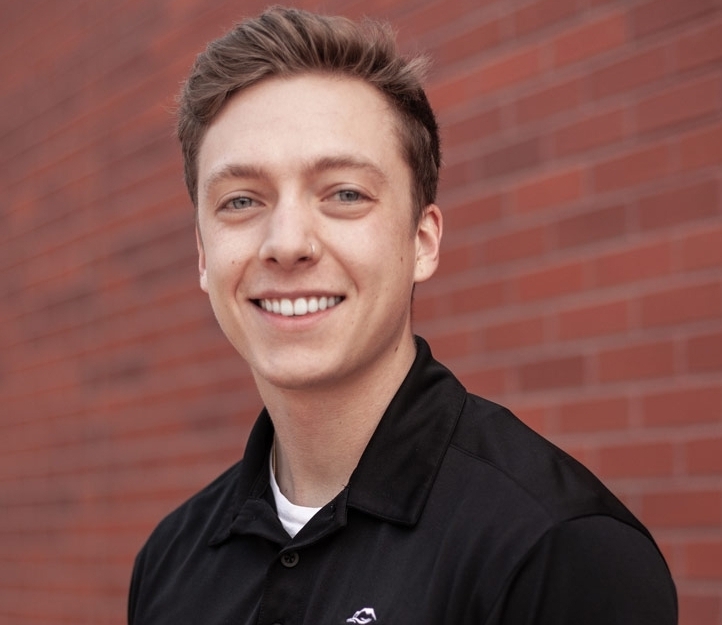 Ethan is a sophomore mass communication student from Grand Junction, Colorado. He loves storytelling and bringing smiles to people's faces. Ethan chose CMU because of the amazing people here who inspire him to work hard and have fun. He is a proud Maverick! Dillon is from Freeland, PA. He is majoring in mechanical engineering and physics. He is really excited about getting out of NEPA and being open to so many new opportunities with the outdoor program. MaKenna is junior from Boulder, CO. As an elementary education major, MaKenna plans on graduating with an emphasis in mathematics. MaKenna believes that at CMU, you are not just a face in the crowd. You have the opportunity to build relationships with staff members and fellow Mavericks, making the most out of your college experience. She loves Grand Junction and its ability to push her out of her comfort zone. MaKenna is so happy to be a Mav! Parker is a freshman from Longmont, Colorado. 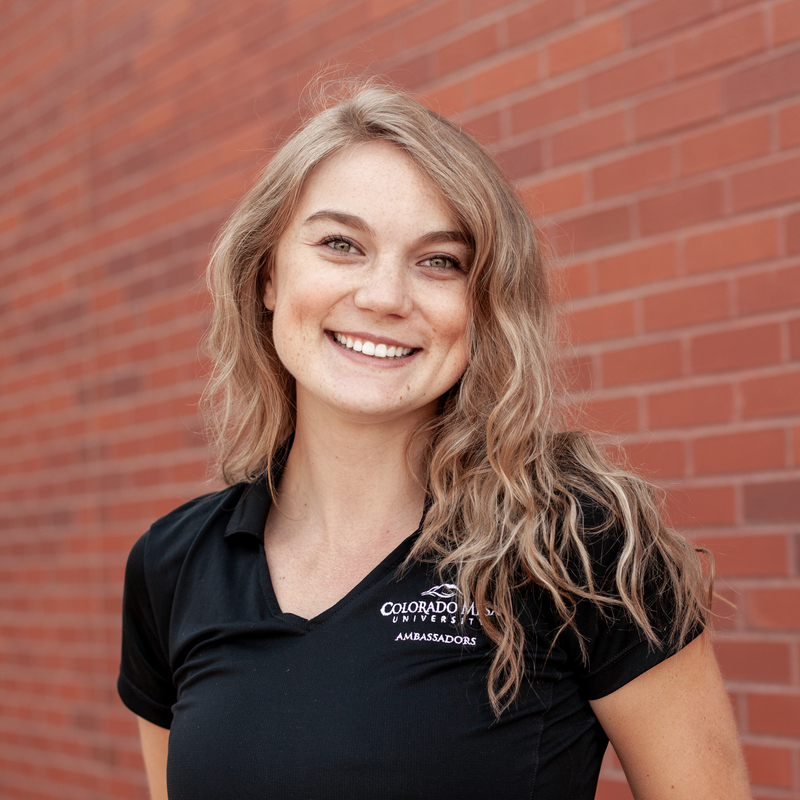 She became a Maverick because of the "tight-knit" community feel on campus as well as the exciting outdoor opportunities only Colorado Mesa University and Grand Junction has to offer. Parker is looking forward to double majoring in English and history, both with a concentration in secondary education. One day, she hopes to not only teach but also get involved with curriculum design and educational policy. Greg is a sophomore from Brighton, Colorado who is currently pursuing a degree in nursing! After graduating, he has aspirations of becoming a pediatric oncologist nurse, a labor and delivery nurse, or a flight for life nurse. Dylan is a freshman student from Grand Junction, Colorado. Dylan is hoping to obtain a degree in either radiological technology or in math. 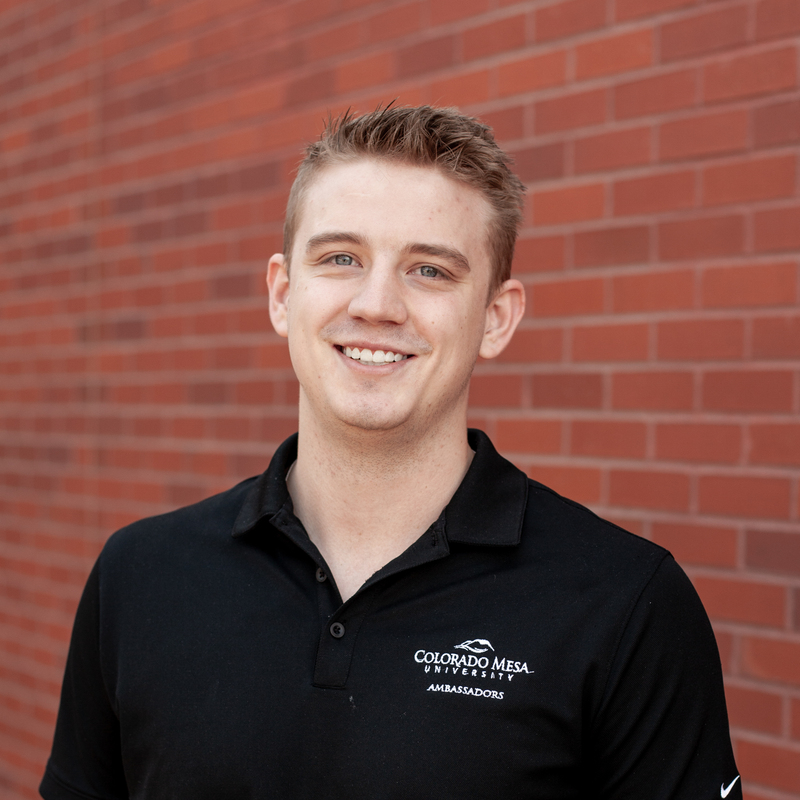 Growing up in Grand Junction Dylan knew how special Colorado Mesa University was and that it would eventually be the college for him. Lauren is junior elementary education major from Draper, Utah. She wants to graduate with an emphasis in social sciences. She hopes to one day work for a nonprofit who help children from low-income families receive proper education. She chose CMU because it felt like a home away from home. She loves being an ambassador, a Maverick and going to school in such a beautiful place! Jesus is from Chihuahua, Mexico and is currently a junior pursuing a bachelor's degree construction management. Jesus chose CMU because he is in love with Colorado and its community. After he graduates, he plans on traveling the world and meeting new people. Alycen is a proud west coaster from Bend, Oregon and is studying environmental science as a freshman here at CMU! She is excited to one day work outside hugging trees and fell in love with the Grand Valley and all the nature surrounding it. Anika is a freshman from Grand Junction, CO who is studying psychology with an emphasis in neuroscience. She chose CMU because of the close-knit relationships that are built being part of the ‘Mavily’ and the unique landscape surrounding CMU. She loves being an ambassador, exploring Colorado, and meeting new people! Ali is a proud native, born in Fruita, Colorado! She is chasing a long-time dream of getting her bachelor's degree in nursing. Ali chose CMU because she absolutely loves the Grand Valley and couldn't imagine leaving the area for school. She is excited for all the adventure and trial college is going to bring. MAV UP! 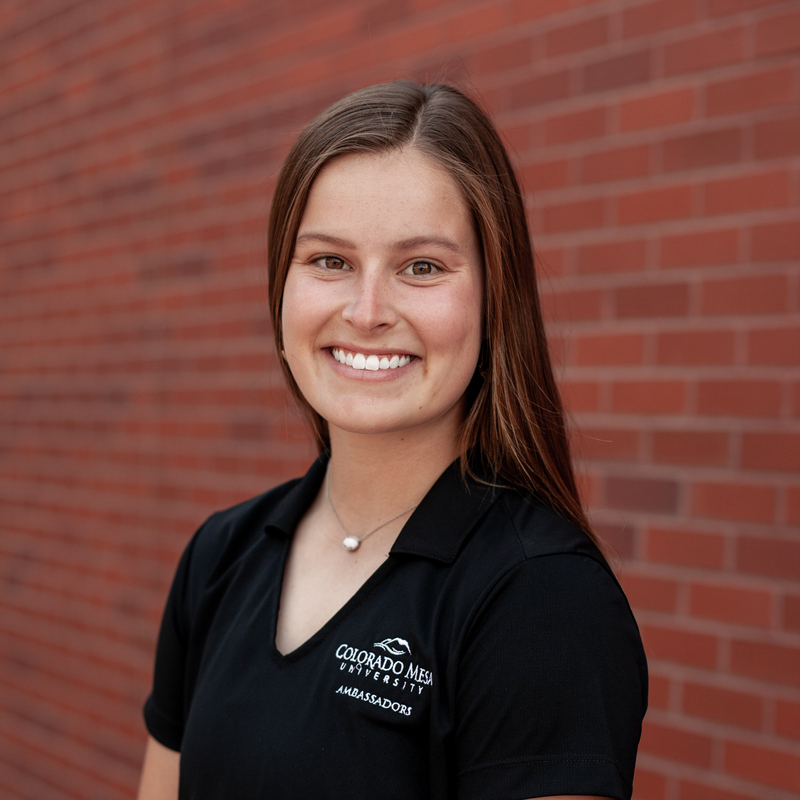 Skyler is a sophomore pre-nursing student from Colorado Springs, CO. She is excited to learn and grow at CMU all while exploring the beautiful outdoors of Grand Junction. Josh is from Fruita, CO and is a junior this year studying biochemistry. As far as career goals, Josh plans on becoming an interventional radiologist. Cameron is from Lincoln, Nebraska and is a freshman studying sports management and marketing. As far as career goals, Cameron plans to work in the sports industry after college.